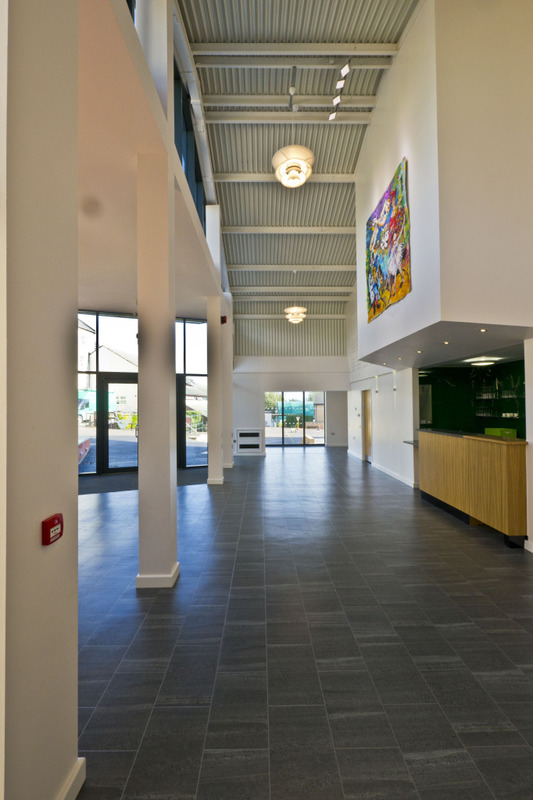 Spratton School, Hunter Hall - MEB Design Ltd. 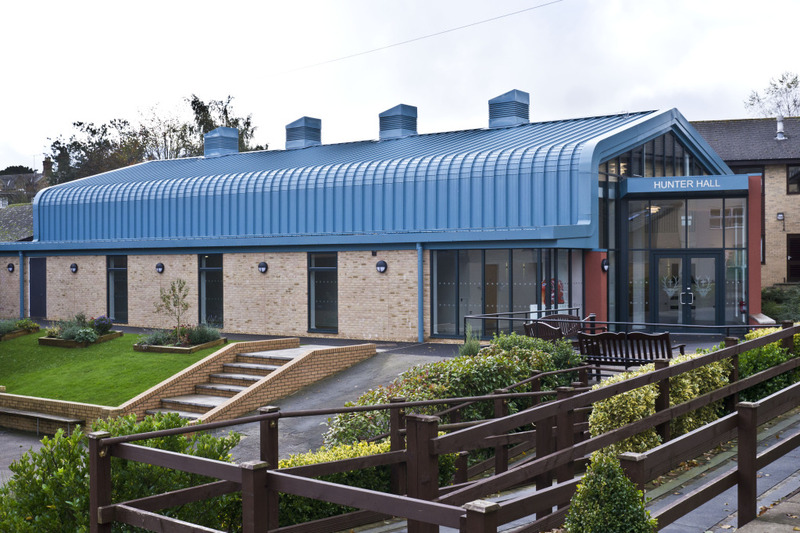 The school’s new multi-purpose hall was officially opened in March 2012. 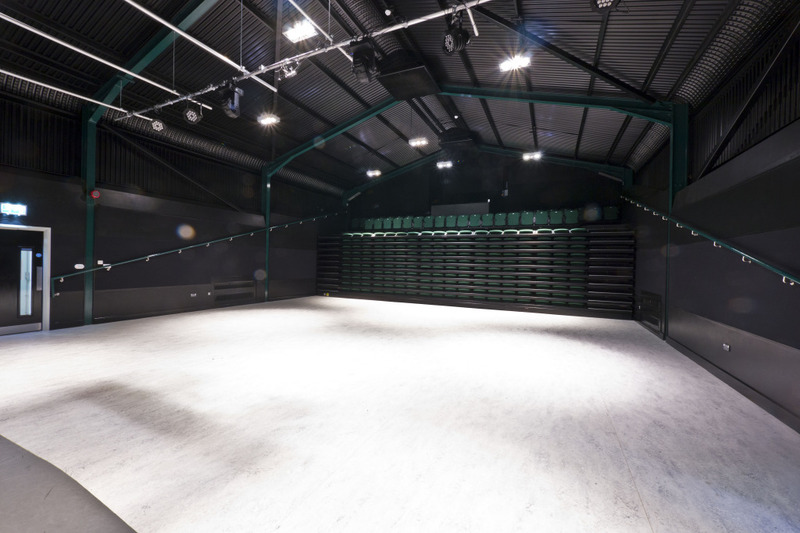 Their existing run-down hall was extended and renovated to create a performing arts space. 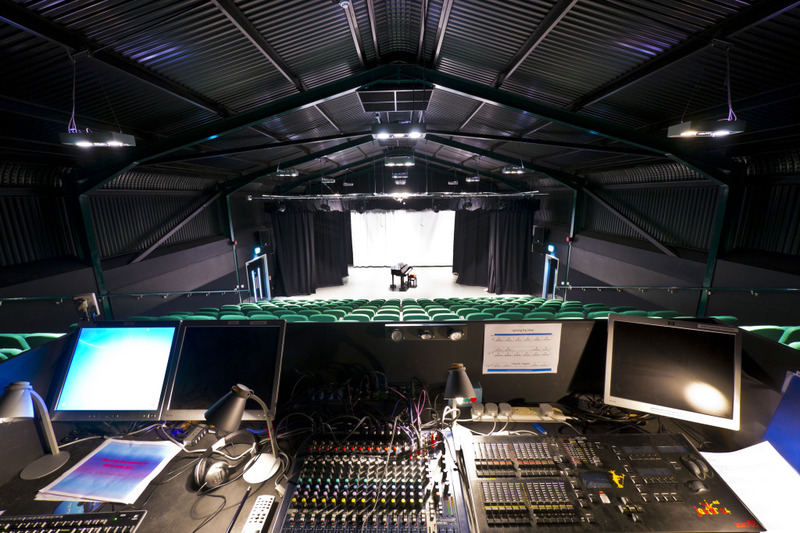 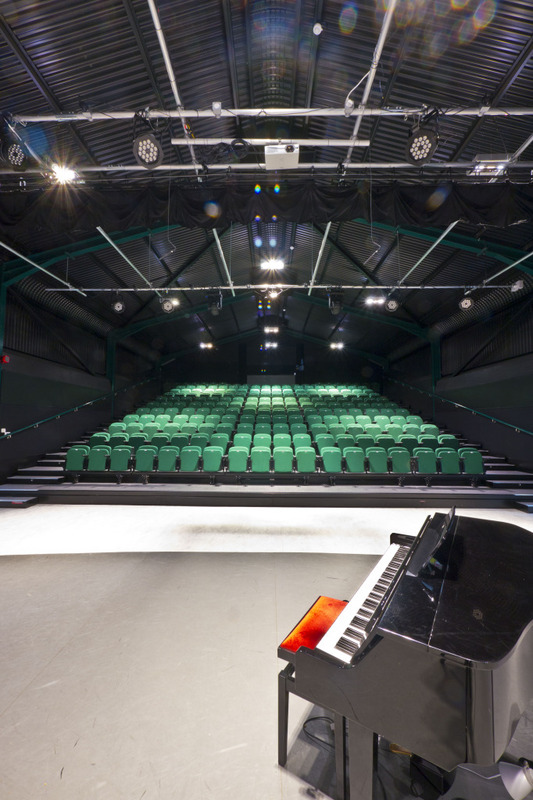 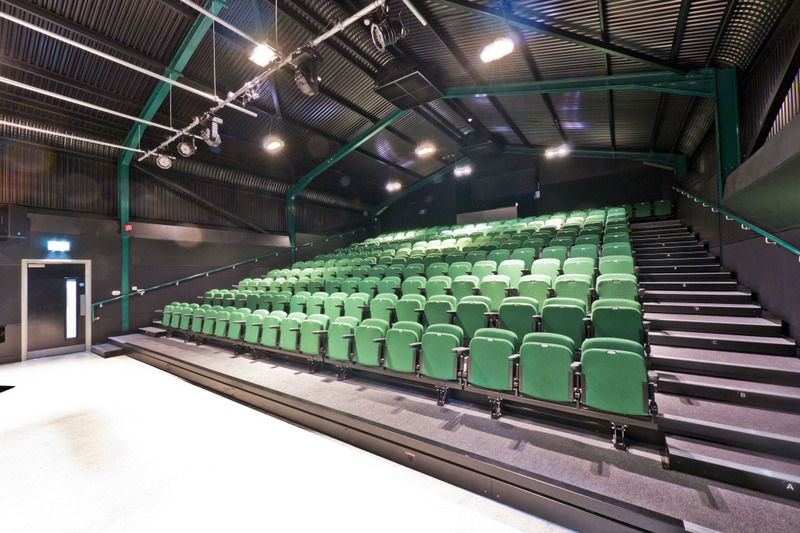 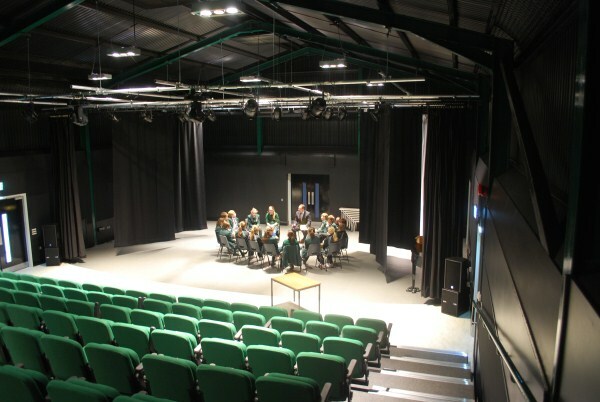 The main hall has retractable seating, allowing 240 people to watch performances in comfort, but also creates a large space for drama and other teaching on a daily basis. 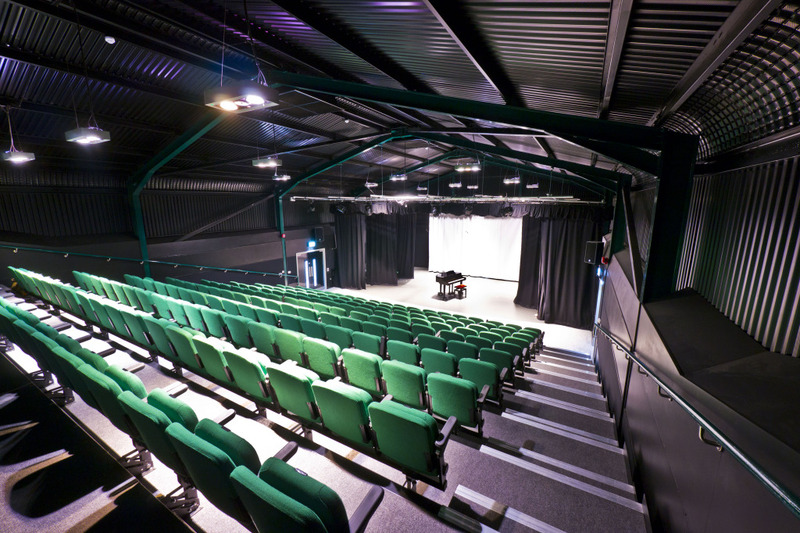 The hall’s acoustics have been improved considerably, so that it is suitable for performing spoken word and music and for teaching groups of children. 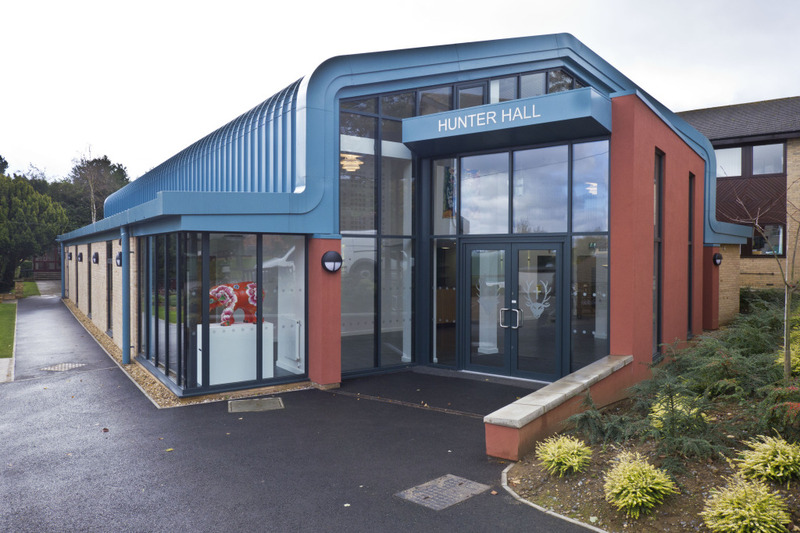 Distracting noise caused by rain on the roof has been eliminated, and the use of a natural ventilation system is an environmentally friendly way to ensure that the hall is well-ventilated without noisy fans. 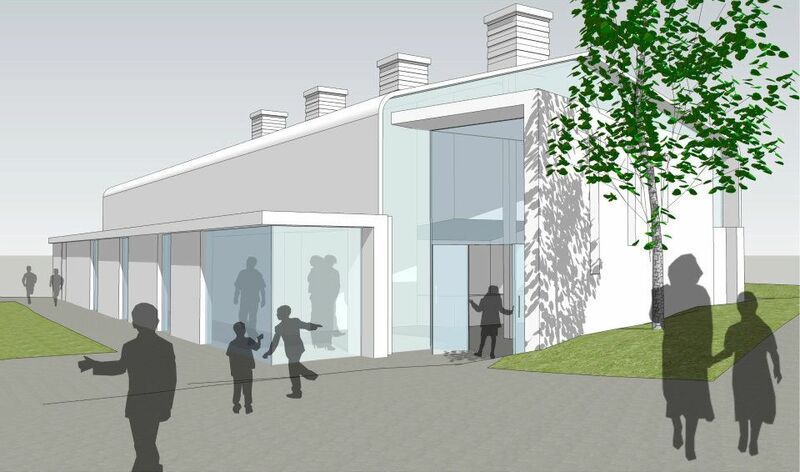 The new foyer provides a mingling space for parents attending performances as well as a space for smaller, less formal performances.